According to Simpson, the Scythians were were Iranian speaking nomads whose vast territory stretched from China to the end of Europe between 900 BC -200 AD. They were a horse based economy, regularly on the move. The Ancient Greek historian Herodotus (484 – 485 BC) wrote about the Scythians at length, and described them favourably. According to Greek scholars, the Scythians were well known in the ancient world because their reach extended well beyond their borders. They served on ships in the Mediterranean, and also served as a sort of “police force” in Athens. They came into frequent contact with the Greeks, through trade and war, but also served in battles with the Persians *against* the Greeks. While some ancient scholars have been accused of exaggeration in their descriptions of other cultures, archaeology seems to corroborate with Herodotus’ description of Scythian society. His writing about the Scythians appears to have been quite accurate. 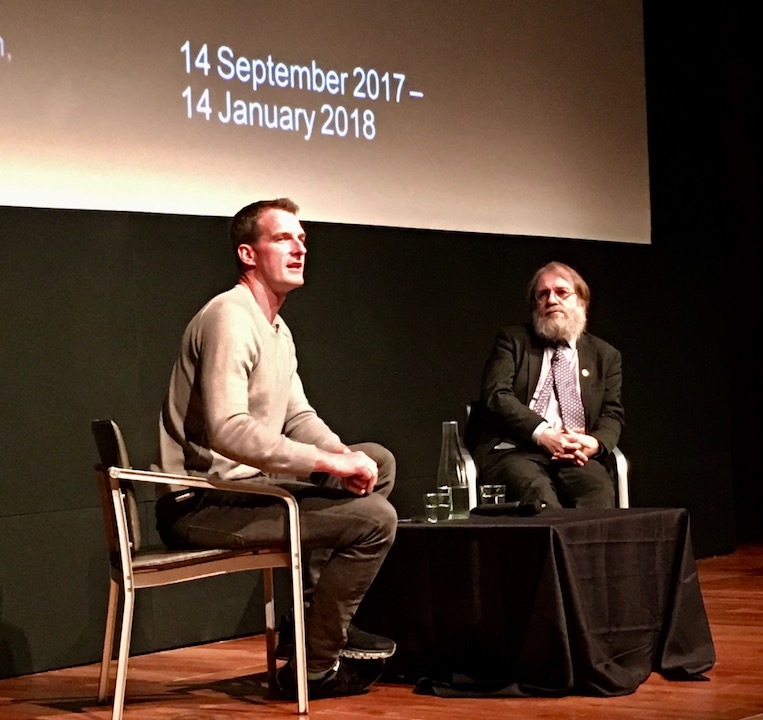 Dan Snow and St John Simpson talk about the Scythian enjoyment of hemp for “medicinal purposes”. The Scythians were not agrarian, they lived off herding cattle. Their diet was predominantly meat-based, but also consisted of root tubers collected in summer, with yogurt, cheese, milk, no bread, and plenty of stews. They didn’t have bread because they weren’t farmers; being on the move meant they wouldn’t have stayed around in one place long enough to grow things. Everything the Scythians ate had to be portable. For recreation, they were known for their use of hemp, and had these hot-boxed miniature tents to “heal themselves” and unwind! They traded for wine with the Greeks and gained a reputation as prolific drinkers! This skin (pictured above) was the shoulder and elbow of the Pazyryk chief. Over the course of centuries, layers of ice formed around the bodies and grave contents. This chieftain was found almost entirely intact but he quickly started to decompose. The excavators at the time had basic and unsophisticated tools. They decided to save the tattooed skin so that they could retain something from the burial. Scythians were heavily tattooed. They usually had tattoos on their legs, backs, and arms, but given the cold environment they lived in, these remained covered up. 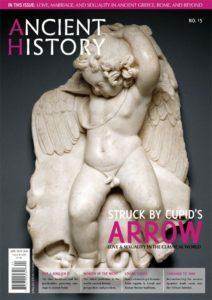 Which is why Herodotus never described them in his writing because he never saw a Scythian naked! The tattoos were intricate, complex, and tapestry-like. The elements that inspired the designs represented important moments in their lives. A look at intricate jewellery and clothing. The Scythians were able to produce beautiful objects while always on the move. 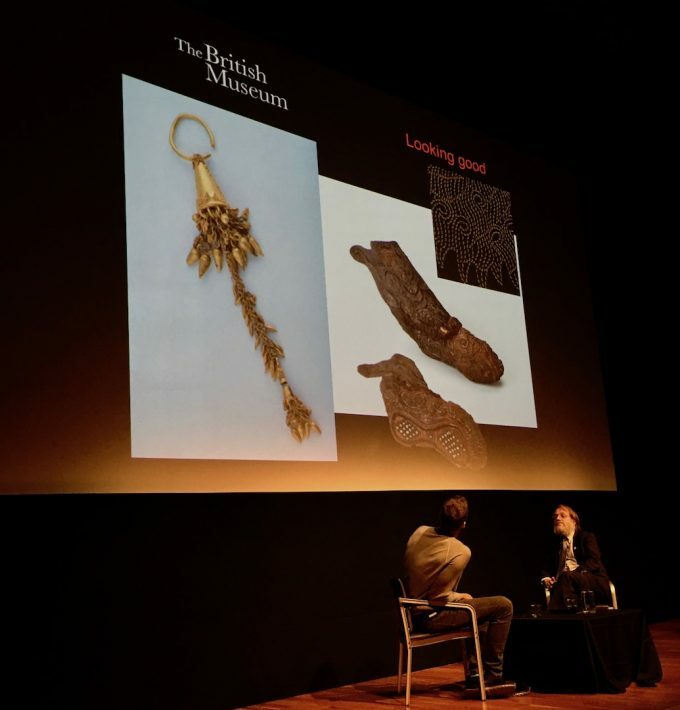 Simpson noted that nomadic craftwork should not be underestimated; the Scythinas were able to create incredible pieces while on the move. Another interesting aspect of Scythian culture was that all their wealth was worn. They wore it because it’s the only way they could flaunt it. Due to their constant movement, they had no permanent buildings to house such items. 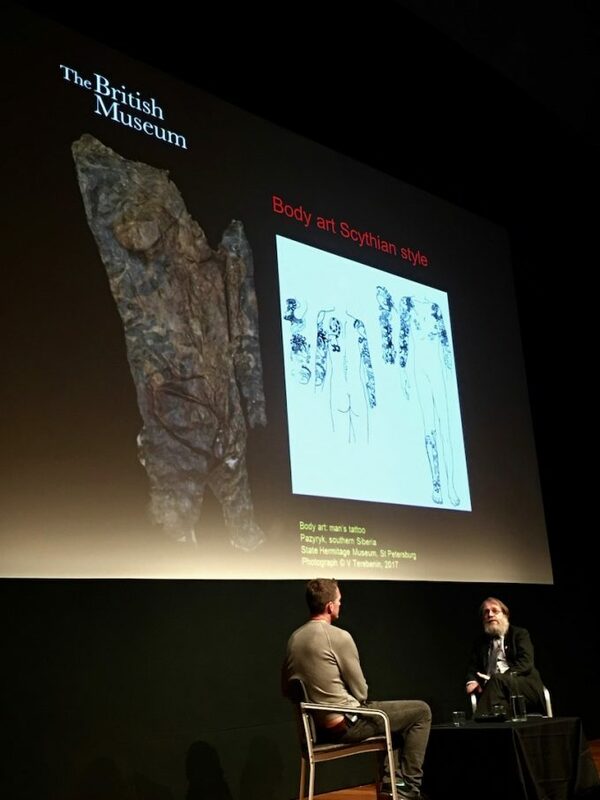 Discussing death and burial in Scythian society. As a result of their nomadic lifestyle, tombs were their only monuments. As a nomad, reliant on cattle herding for sustenance, Simpson said the last thing you want to do is wreck your grazing area. Mobility is key, so building permanent structures is pointless. Their dead were laid to rest in great mounds, and there are tens of thousands of burial mounds reflecting the different status individuals in Scythian society across the Steppes. 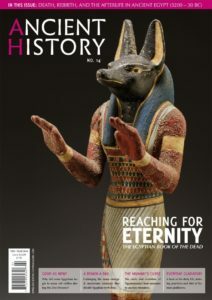 As they were a society that revered horses, the very wealthy were buried with large numbers of them, mainly herd horses. Some graves also show multiple burials of retainers, i.e, slaves and concubines killed to accompany their masters into the afterlife. Burial materials were a combination of day to day items, and ritual items solely for the next life. 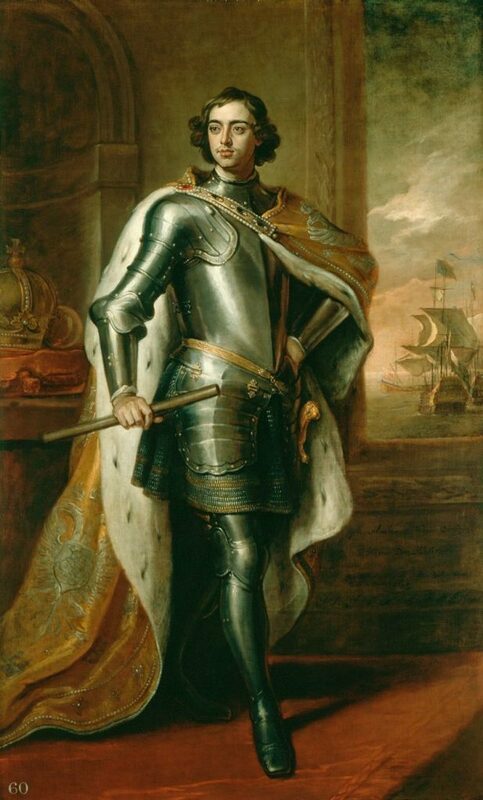 Portrait of Peter I by Godfrey Kneller, 1698. This portrait was Peter’s gift to the King of England. On loan by her Majesty the Queen, to the British Museum for the Scythians exhibit. After disappeared for almost 1500 years, a set of nameless explorers went out into Siberia under regional government instruction to explore, colonize and uncover natural resources. On this expedition, they re-discovered the Scythians. Peter I (‘the Great’) (1672-1725) succeeds Ivan the Terrible (1530-1584) in finally conquering Siberia, and as the first Tzar to map Siberia. Upon the discovery of gold and artefacts, Peter the Great orders them sent back to St. Petersburg to be catalogued. 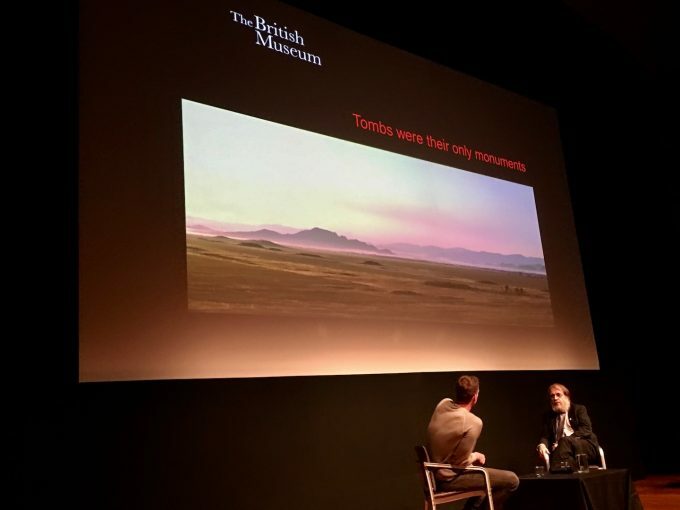 This initial foray into the Steppes kicked off the renewal of interest in this forgotten culture, and several centuries of earnest recovery and preservation efforts. Simpson undertook this exhibition because he wanted to get a better understanding of nomadic culture. 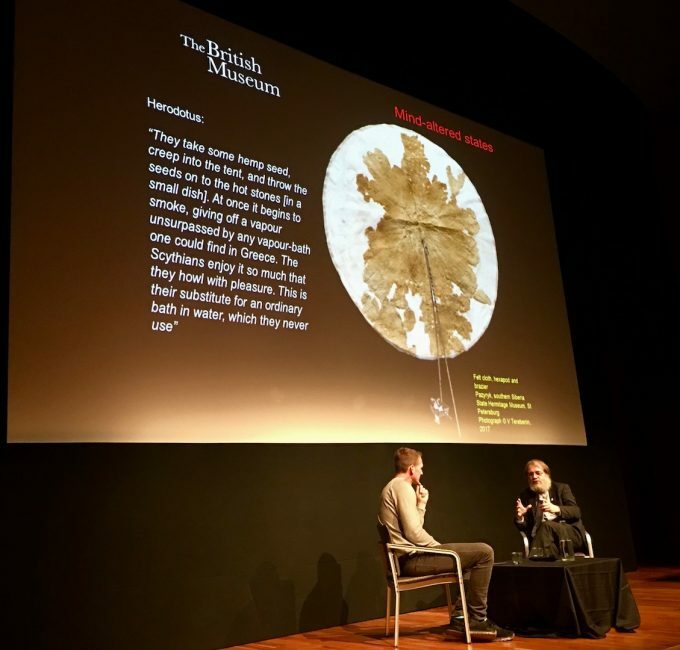 He said that people are fascinated by nomads, but they are also misunderstood,*“There is a concern about people who don’t respect borders in modern society, so it’s interesting to explore a group of people who defy borders.’* He also wanted to look at a part of Ancient History that nobody has seen in the UK in forty years. You will never see an exhibition of this sort for long time. In order to pull off this feat, the British Museum had to borrow artifacts from the Hermitage Museum in St. Petersburg, and the Ashmolean Museum in Oxford. In addition, the wonderful painting of Peter the Great in the rediscovery section of the exhibit is on loan from Her Majesty The Queen. So how did this great civilization come to an end? Was it sudden, or a slow transition? Simpson indicated that the Scythians were overcome by different tribal federations and other nomads. Their culture disappeared as they were gradually absorbed into these groups. The Scythian legacy continued on in another much later nomadic group – the Mongols. Were there similarities between these nomadic cultures? On a general level there were some, but Simpson was quick to point out that there were also clear changes in terms of weapon technology and artwork. The Scythians, while sharing some characteristics with these later medieval nomads, were not an earlier version of the Mongols. On a final note, there appears to be an eminent threat to future recovery efforts. There is a time limit on Scythian tombs as climate change continues to affect the permafrost that once protected their burials. Archaeologists have to work quickly now to rescue these graves because the changes in temperature mean that rapid decomposition is a real danger to saving the materials found in them. The Scythians were skilled riders, fearsome warriors, and remarkable craftsmen. They invented tattoos, trousers, and the soft saddle, covered a boundless territory, and thrived in a hostile and treacherous climate. 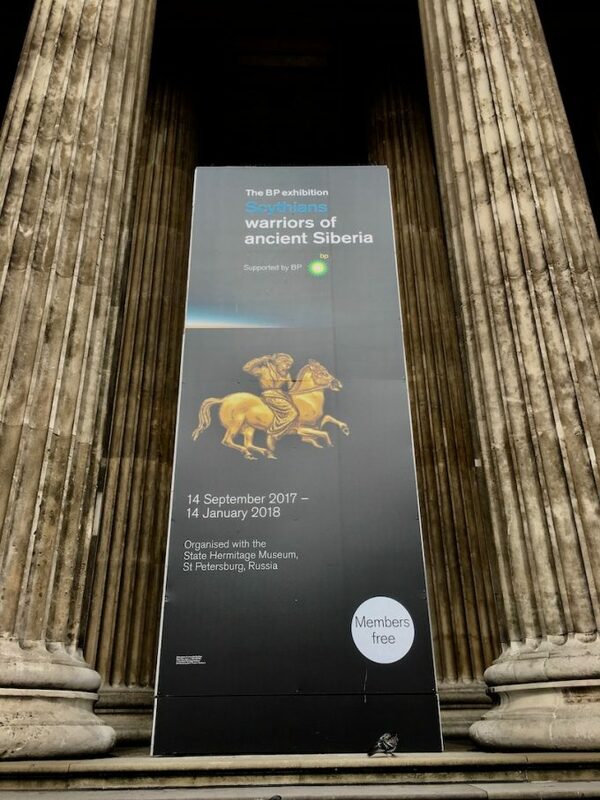 The British Museum has brought this remarkable civilization back into the spotlight for a once in a lifetime exhibit. Don’t miss this incredible opportunity to reach back in time and see a different side of long lost ancient culture.